Winter Storage - To Cradle, Or Not Too Cradle?? I've done a bunch of searches and read a bunch of material on winter storage. Of course, with every issue, there are varying opinions. Having read both sides of most arguements, I've pretty much got my prestorage routine down, except for one issue - the tires. There are definitely two sides to this arguement. One side saying get tire cradles to keep the car off the concreate and prevent flat spots. Flatstoppers being the most recommended, but expensive solution. Then there is the other side who say todays tires are not that subject to flat spots and it isn't an issue. Just inflate to max pressure and there will be no flt spot issue. I've read enough on the subject that I've decided against jacking the car. I'm inclined to believe the people on that issue who say a cars wheels aren't meant to hang and it can put unneccessary stress on your suspenion components. So, it's wheel cradles, or nothing. 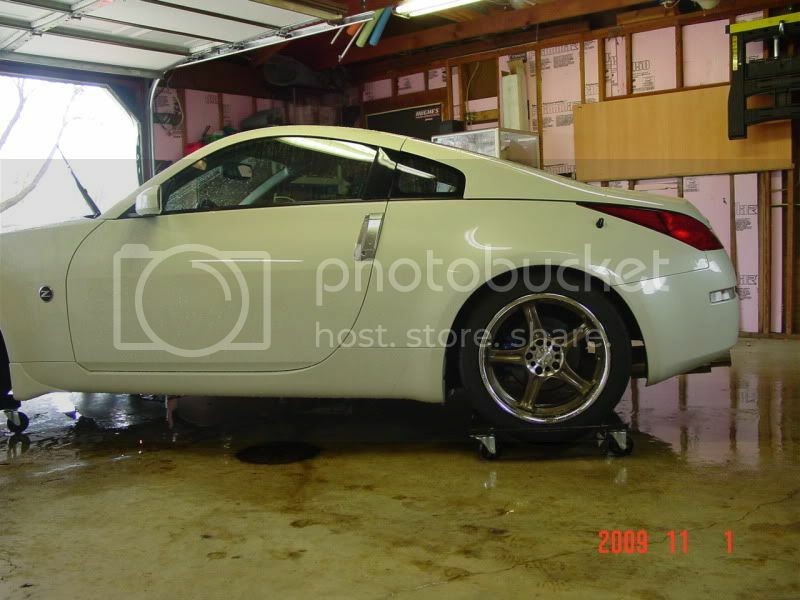 The question - how many of you Ontario folks have stored your Z's on a concrete garage floor? I'm looking for an informed answer from someone in the same climate as me. Did you get flat spots? If you did, how quickly did they disappear? At this point, I believe I will forgo the cost of flatstoppers and just jack the car and then lower it onto a couple of Michelin garage mats that can be had at Costco for a fraction of the price of flatstoppers. They are foam and the weight of the car will cause them to sag and imprint the shape of the tire. I'll end up with the same result as the flatstoppers at a fraction of the price. I like the idea of styrofoam under the wheels but I think it's really not neccessary. I've been winter parking my cars for 7 years now in cold and warm storage and it does get cold here. I've never had a problem with flat spotting any of my tires while sitting on concrete over the winter. I just pump up the pressure to the max cold pressure rating on the tire and call it a season. Adjust the pressure to what I run in the spring and it's done and ready to go. I've stored my vehicles for years now during the winter i.e Dec-Apr on average, in my heated (kept above 0 C) garage. I don't do anything to prepare the cars/bikes. It's only four or five months - not years. In summary, no flat spots, no contaminated gas, no dead batteries, no dried seals, no issues. They all run fine come spring - believe it or not. "Once you go Asian, you never go Caucasian." "I talk to myself, and when I do that, I know I'm talking to an intelligent person." ^^wow crazy! I would be scared of someone pushing it into a wall or another vehicle!! I like it though! and I like your garage! good size! I used styrofoam, about 1.5 inchs under each tire to store my 240Z convertable and never had any flat spot issues. This year with my Z'd I'm going to drive it once a week or every two weeks on warm days with no snow instead of storing it. With the weathers in Toronto it should be ok. I've done the same here. Cradling is a waste of money (IMHO). A lot of good answers and advice here. With todays modern radial tires , the old bias ply flat spot days seem to be a thing of the past. This will be my 20th year of storing a car & basically I fuel it up, add fuel stabilizer , which is really not required for short term storage (4-5 months) & plug in my Battery Tender . I have parked on carpet, styrofoam, & pieces of 2 X 10 wood, & nothing at all. Never had any issues . I did have one car with really wide tires (30 series) on 2ft X 2 ft X 2 inch blue house styrofoam & the car sank into it perfectly. It was so perfect ,( and stuck) that when I tried to back out of the garage in the spring the clutch got a real work-out. It was like to get unstuck in sand. I store my vehicle every year. I do not use wheel cradles but do park my vehicle on soft foam type floor squares that I purchased at Home Depot. I do increase the PSI in the tires to 40-45ish, top off the fuel, add fuel stabilizer and and use a battery tender. Don't forget a vapour barrier under your Z, a nice big piece of plastic sheeting will work. 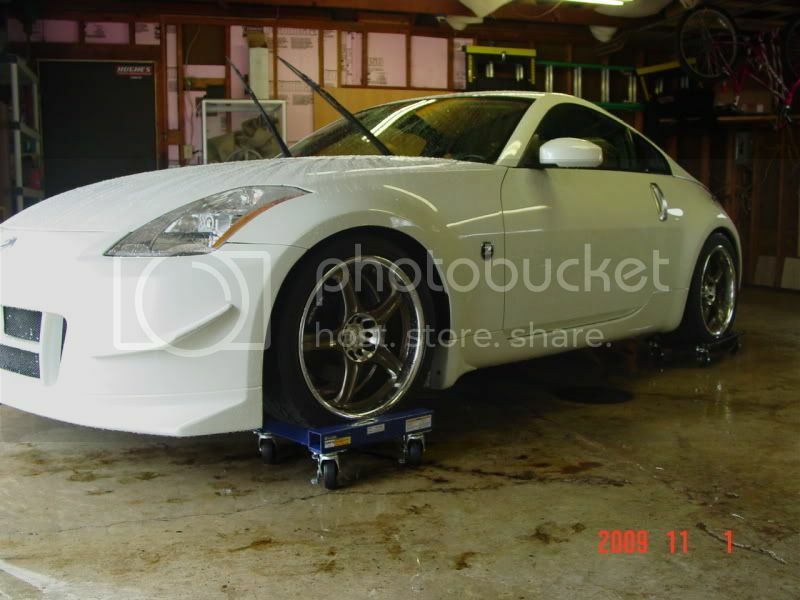 This keeps the moisture away from the underbody of the Z. Also, I tend to put mothballs around the Z, fabric softeners inside the interior and engine compartment of the Z and SOS pads in the exhaust tips, just to keep those sneaky lil mice outta the Z. Finally, the cover goes on and it's see ya in April/May. Gonna be a long winter. Time to get the ski gear outta storage. Last edited by Nixin; 11-05-2018 at 07:46 PM. A box of baking soda inside for me. I use a wire gauze brush thingie to stuff the tail pipes. Just checked on Amazon.ca. Lots of Battery Tender harnesses/hookups.Just unpacked another box (moved recently) & found a spare BT harness with alligator clips, new unused. I'm not a fan of alligator clips, usually cut them off & crimp on eye terminals & attach to the battery permanently.